What happened subsequently, with the invasions of Afghanistan and Iraq is already part of history. Syria, Libya and Yemen were already on the Pentagon’s drawing board, the next phase of the US adminstration’s military roadmap. Excerpts from the Preface of Michel Chossudovsky, America’s “War on Terrorism”, Second edition, Global Research, 2005. In chorus, the US media was calling for a military intervention against Afghanistan. Barely four weeks later, on the 7th of October, Afghanistan was bombed and invaded by US troops. 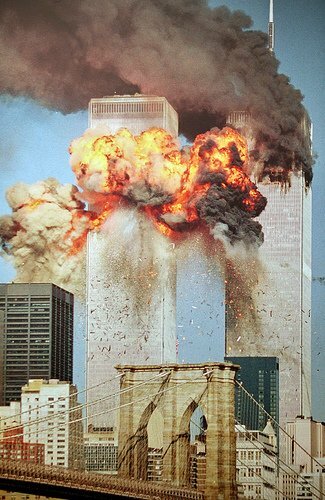 Americans were led to believe that the decison to go to war had been taken on the spur of the moment, on the evening of September 11, in response to the 9/11 attacks and their tragic consequences. Little did the public realize that a large scale theater war is never planned and executed in a matter of weeks. 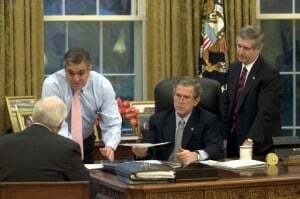 The decision to launch a war and send troops to Afghanistan had been taken well in advance of 9/11. The “terrorist, massive, casualty-producing event” as it was later described by (former) CentCom Commander General Tommy Franks, served to galvanize public opinion in support of a war agenda which was already in its final planning stage. I started writing on the evening of September 11, late into the night, going through piles of research notes, which I had previously collected on the history of Al Qaeda. My first text entitled “Who is Osama bin Laden?” was completed and first published on September the 12th. (See full text of the 9/12/2001 article below). 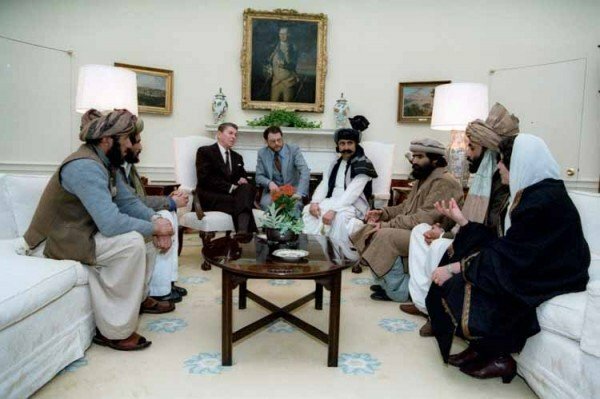 Al Qaeda was a creation of the CIA going back to the Soviet-Afghan war. This was a known fact, corroborated by numerous sources including official documents of the US Congress. 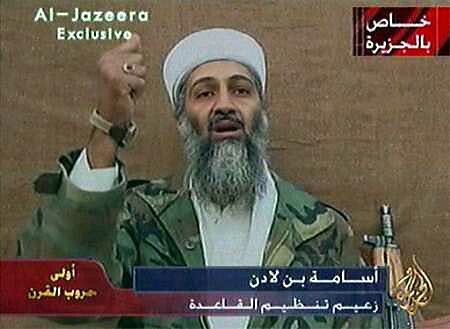 The intelligence community had time and again acknowledged that they had indeed supported Osama bin Laden, but that in the wake of the Cold War: “he turned against us”. 1. Hugh Davies, International: `Informers’ point the finger at bin Laden; Washington on alert for suicide bombers, The Daily Telegraph, London, 24 August 1998. 3. Ahmed Rashid, The Taliban: Exporting Extremism, Foreign Affairs, November-December 1999. 5. Dilip Hiro, Fallout from the Afghan Jihad, Inter Press Services, 21 November 1995. 6. Weekend Sunday (NPR); Eric Weiner, Ted Clark; 16 August 1998. 8. Dipankar Banerjee; Possible Connection of ISI With Drug Industry, India Abroad, 2 December 1994. 10. See Diego Cordovez and Selig Harrison, Out of Afghanistan: The Inside Story of the Soviet Withdrawal, Oxford university Press, New York, 1995. See also the review of Cordovez and Harrison in International Press Services, 22 August 1995. 11. 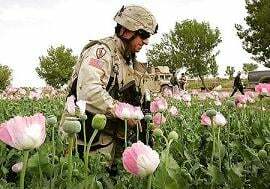 Alfred McCoy, Drug fallout: the CIA’s Forty Year Complicity in the Narcotics Trade. The Progressive; 1 August 1997. 14. Douglas Keh, Drug Money in a changing World, Technical document no 4, 1998, Vienna UNDCP, p. 4. See also Report of the International Narcotics Control Board for 1999, E/INCB/1999/1 United Nations Publication, Vienna 1999, p 49-51, And Richard Lapper, UN Fears Growth of Heroin Trade, Financial Times, 24 February 2000. 15. Report of the International Narcotics Control Board, op cit, p 49-51, see also Richard Lapper, op. cit. 16. International Press Services, 22 August 1995. 17. Ahmed Rashid, The Taliban: Exporting Extremism, Foreign Affairs, November- December, 1999, p. 22. 19. Tim McGirk, Kabul learns to live with its bearded conquerors, The Independent, London, 6 November1996. 20. See K. Subrahmanyam, Pakistan is Pursuing Asian Goals, India Abroad, 3 November 1995. 21. Levon Sevunts, Who’s calling the shots? : Chechen conflict finds Islamic roots in Afghanistan and Pakistan, The Gazette, Montreal, 26 October 1999..
24. 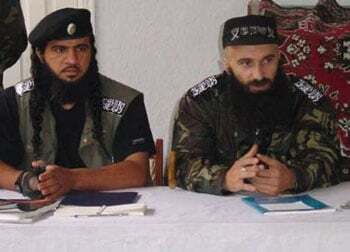 See Vitaly Romanov and Viktor Yadukha, Chechen Front Moves To Kosovo Segodnia, Moscow, 23 Feb 2000. 25. The European, 13 February 1997, See also Itar-Tass, 4-5 January 2000. 26. BBC, 29 September 1999.